teams will compete to be crowned champions at the biggest cricket stadium in the world, the Melbourne Cricket Ground (MCG), on International Women’s Day. The final at the MCG, to be played under lights on Sunday 8 March 2020, presents a ground-breaking opportunity to set a new world record for attendance at a women’s sporting fixture. Fans are urged to ‘save the date’ and be part of this historic opportunity for cricket and women’s sport, with tickets to the final on sale now at t20worldcup.com from A$20 for adults and all kids’ tickets are A$5. 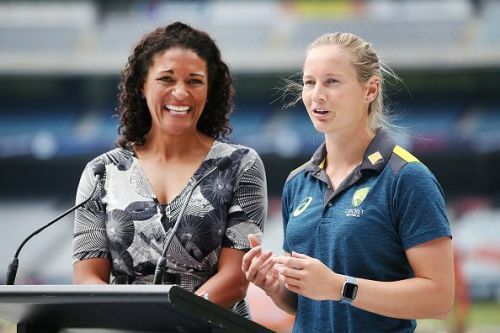 The ICC Women’s T20 World Cup 2020 is being played as a standalone event across Australia from 21 February – 8 March 2020. 10 teams will contest 23 matches in eight venues across six Host Cities, giving it a truly national footprint befitting a major global sporting event, and meaning as many fans as possible will have the opportunity to be part of it. In order to reach the final, teams will have to finish top two in either Group A or Group B, comprising five teams each. Teams will then need to win one of the blockbuster double-header semi-finals at the iconic Sydney Cricket Ground (SCG) on Thursday 5 March 2020. Hosts and four-time champions Australia will be out to defend their title, after defeating England in the final of the sixth and most recent edition of the global showpiece event for women’s T20 cricket, held in the West Indies in late 2018. ICC T20 World Cup Australia 2020 Local Organising Committee CEO Nick Hockley said: “The final of the Women’s T20 World Cup 2020 will be the culmination of a three-week festival taking place across Australia. "The MCG on International Women’s Day is the perfect stage to celebrate the best teams in the world and presents an opportunity to set a new benchmark. “The ICC couldn’t have planned the final of the ICC Women’s T20 World Cup 2020 better. Playing on the International Women’s Day and at the MCG gives out a strong message to the sporting world on the importance and significance the ICC and its Members are giving to women’s cricket. “The PCB has been focusing extremely hard on women’s cricket and generating opportunities for the emerging and interested girls to take up this great sport. I am sure this initiative will not only create more awareness of women’s cricket in Pakistan but will also inspire young girls to follow in the footsteps of some of the biggest names in women’s cricket. “I think it’s a masterstroke by the ICC to have the final of the Women’s T20 World Cup on International Women’s Day. It’s such a significant day for every single woman across the world and to have an event of this magnitude come to an end on that day is brilliant. “On a personal note, it would be a dream come true firstly playing in a World Cup final and second, in front of 90 000 cricket lovers at the MCG. This is the stuff every cricketer dreams of and it would be even more meaningful for Team South Africa to make history on such a big day. “International Women’s Day in itself is so important and of great significance to women worldwide. It serves as a reminder for women to be commemorated and celebrated for their loving and nurturing contribution to society. The same society that, at times forgets these all-important leaders and pillars. It’s also a reminder that there is still a long way to go and a lot of work still needs to be done to create a more equitable society that is completely inclusive of women.